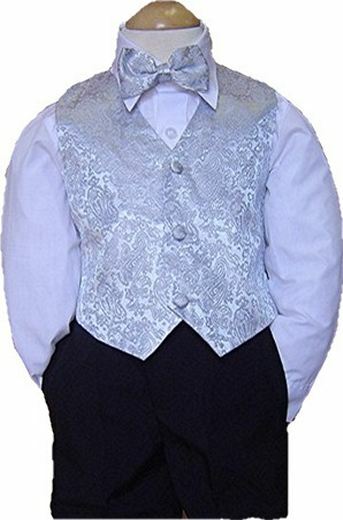 Silver paisley pattern satin full vest and tie set. 2-piece set with a pre-tied long tie OR a bow tie. The long tie has an adjustable neck band. Usually ships in 1 business day. Order up a size. Runs small. From the Peanut Butter Kids Collection. Better brand. Please refer to the PB Kids Boys size chart.